I have a piece in the Pocket Issue of Pasalle Burton’s zine, Today, the voice you speak with may not be your own. 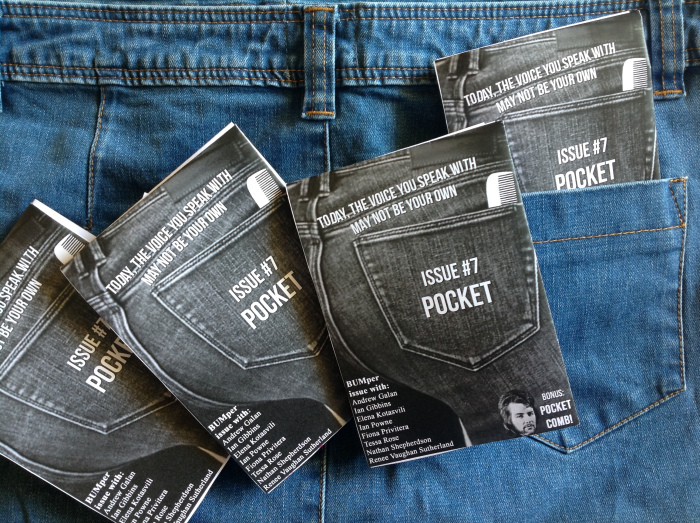 This is issue Seven. You can find out more about the issue at her website, and purchase a copy from the Lavender Room Etsy store (I think it may have already sold out).